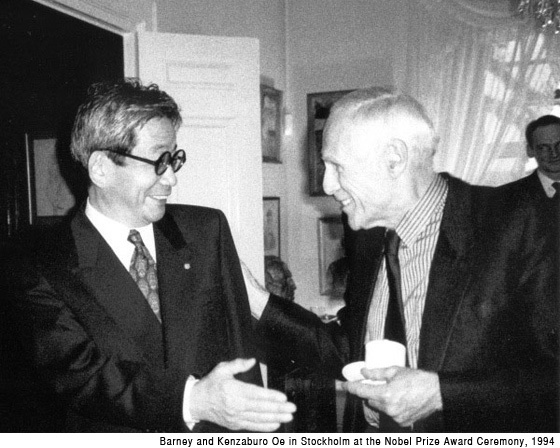 NYtimes First Amendment Crusader Barney Rosset dies. 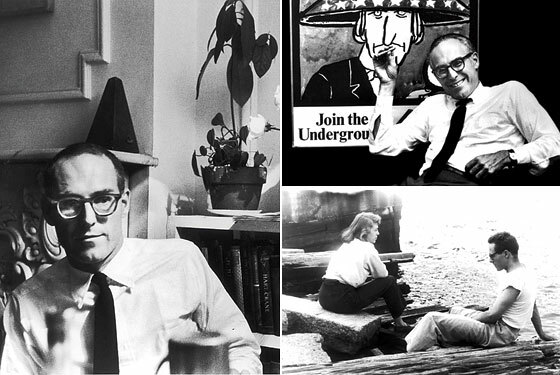 Barney Rosset, the renegade founder of Grove Press who fought groundbreaking legal battles against censorship and introduced American readers to such provocative writers as Harold Pinter, Samuel Beckett, Eugene Ionesco and Jean Genet, died Tuesday in New York City. He was 89. His daughter, Tansey Rosset, said he died after undergoing surgery to replace a heart valve. 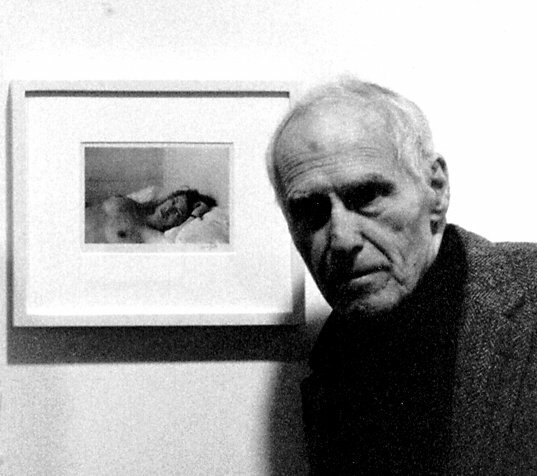 Nobody pigeonholes Barney Rosset—longtime owner of Grove Press, anti-censorship crusader, countercultural icon. Always undercapitalized, Grove often paid low advances. 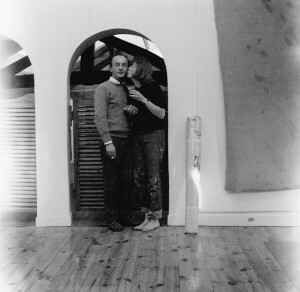 But writers came to Grove because it championed their work in an often hostile environment. In the fifties, repressive obscenity laws made it illegal to publish D. H. Lawrence’s Lady Chatterley’s Lover and Henry Miller’s Tropic of Cancer. Rosset deliberately set out to overturn these laws, publishing and defending these books, and others, in court. Over the years, Grove took on hundreds of lawsuits, in the process expanding the range of public discourse. Barney posing in front of a portrait of Joan Mitchell in Maya by Goya pose. Barney Rossett has a blog. The founder of Grove Press, Rossett is to be celebrated soon this November. On Nov. 19 Mr. Rosset will receive a lifetime achievement award from the National Book Foundation in honor of his many contributions to American publishing, especially his groundbreaking legal battles to print uncensored versions of “Lady Chatterley’s Lover” and Henry Miller’s “Tropic of Cancer.” He is also the subject of “Obscene,” a documentary by Neil Ortenberg and Daniel O’Connor, which opens on Friday at Cinema Village. 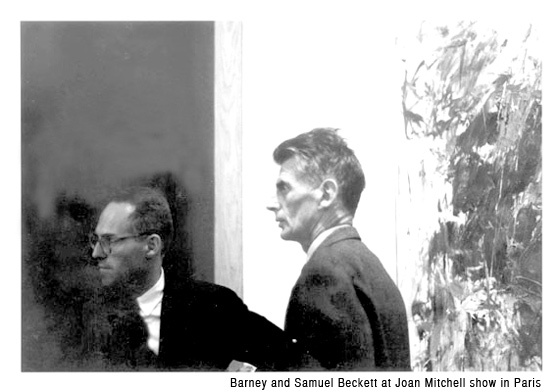 Here is a good article about Barney’s attempt to write his autobiography and his enduring friendship with Samuel Beckett, also happend to be his business partner – You Can’t Paint That! Read previous post on Joan and Barney their early years here. 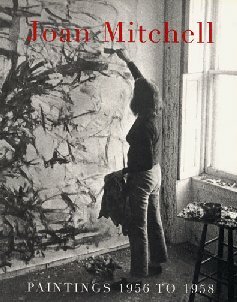 More juicy trivia for Joan Mitchell…. Joan Michell was a figure skater when she was a teenager in Chicago, according to John Perreault. 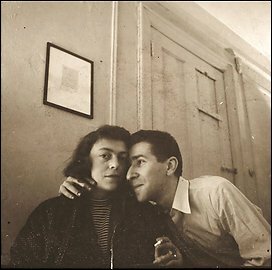 Joan Mitchell’s love letter to Michael Goldberg is here. I came upon this beguiling website. 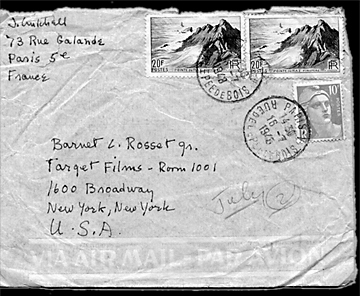 Found out how Barney Rosset took over Grove Press in 1951 and went on to publish such writers as Samuel Beckett, Henry Miller, William S.Burroughs, and Marguerite Duras, and time after time created landmark cases against censorship in the United States for the right to print these important works. “To me, the direct line of descent was – you know, like a lineup in baseball – Lawrence to Miller to Burroughs. or on Beckett’s Film and the Beats. Boys & Gals, a review of Mitchell’s work by John Haber. 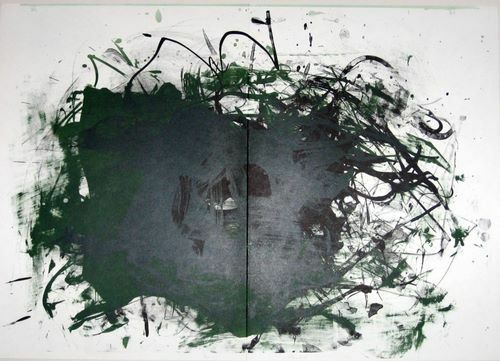 Here is an entry from a blog on Joan Mitchell.